Is Your Online Reputation Ruining Your Job Search? Calling In Sick To Work – Did you Call In Sick Today? wild buyer on Calling In Sick To Work – Did you Call In Sick Today? Clinton Moore. on Should I Use A Resume Template? Let’s face it. The internet is a very big place, and it’s easy for one to get lost, especially if you’re a job seeker. With a multitude of job boards and job search engines popping up online, it may be difficult to sort through them and find the ones that are most likely to help you find a good job. To make the process a little easier for you, we have recommended a list of six of the best job search engines that have proven to be beneficial to many job seekers around the world. Here are our recommendations for the best job boards for 2019. At YourCareerDoctor, your success is our success. With professional strategies and services to help you land jobs, we actively work on connecting you with ideal employers. A one-stop shop, we also offer career coaching and career advice to help you grow and reach your career goals. In fact, one of the things that makes us different from other companies is our intentional focus on growth and development. We spend a great deal of time teaching and empowering employers and job seekers like you through the recruitment and hiring process. So, you are never alone on your job searching journey. YourCareerDoctor is around to help you with the process and connect you with the right companies. If you’re not yet on LinkedIn, you’re definitely selling yourself short. In case you’re unfamiliar, LinkedIn is somewhat of a Facebook for professionals. It’s the perfect platform to connect with other professionals, showcase your skills and accomplishments, learn about companies that are hiring, blog about industry related topics and anything else of interest to you, as well as search for jobs. Additionally, in the job search section of the site, many of the jobs will allow you to use your profile instead of a resume to apply. Because LinkedIn is catered to professionals, you can avoid becoming distracted by the junk feeds prevalent on many of the other social media platforms and really focus on furthering your career. The LinkedIn platform will also assist you in building your professional network by labeling individuals you are linked to via another LinkedIn member already in your social circle. LinkedIn has a free membership as well as a “Premium” membership available for users. LinkedIn is a good place to connect and find a job. CareerBuilder is one of the most popular job search platforms on the internet. It is very user-friendly and provides job seekers with the ability to search for jobs on a local and national level. There are several search parameters you can use, some of which are geographic location, company name, and keyword. On CareerBuilder, you have the ability to upload more than one resume and cover letter. For instance, if you have experience in more than one field, you can customize a resume and/or cover letter to fit each field, and when you apply for a position, you can simply select which document you want to use. CareerBuilder is available via a web browser as well as a very easy to use app that can be downloaded on both Android and IOS. In addition to being a job search platform, Glass Door is also helpful because it allows current and former employees of a company to provide a review of their time with the company. On Glass Door, employees can also provide details about how effective management is, salary and benefit information and any other thing you’d want to know about a company before working there. Glass Door is beneficial to job seekers because it helps them determine whether applying for a position is worthwhile, based on the information they receive about the overall climate of a company from the employees who have worked there. Simply Hired is a search-based platform that allows you to save the parameters of specific job search and be alerted via email anytime a position is listed that meets the criteria you have set up. Simply Hired pulls their listings from all of the major job listing platforms on the internet so you can be confident in the fact that you won’t miss out on that next great opportunity. Simply Hired can also be a helpful tool for individuals who don’t have a lot of time to browse job boards all day, perhaps because they have another job. Instead, members of Simply Hired will receive an alert any time a job is available that they may be a fit for. It’s like having your own personal job seeking assistant and best of all–it’s free! find job online, full-time job, full-time job near me, part-time job near me, job near me, best job search engine. These terms will enable you to locate the right board to meet your requirements. There are many job search platforms online to choose from, but all that glitters isn’t gold so being cognitive of the platforms you spend your time seeking jobs on can be critical to your overall success. The good thing about job search sites is that in the age of Google, many sites are drawing from the same data banks of available positions as well as taking data from each other, so determining which platform is best for you will often come down to which ones you feel most comfortable using. Ultimately, we hope this list has been helpful to you, and we wish you the best of luck in your job seeking endeavors. Looking for a Job? Visit the Best Job Search Engine Around! Looking for a new job? Visit http://jobs.yourcareerdoctor.com to find your dream job. We are the best job search engine around. #jobseeker #iownmycareer #jobsearchengine #findjobsnearme. Do you need career coaching? Visit us at http://yourcareerdoctor.com for more information. As the saying goes, reputation is everything. Your character is your introduction to the world. And with the internet, it is becoming even more important each day to pay attention to your online presence and monitor your virtual footprint. This may impact your ability to find jobs. That Facebook post where you were venting years ago? Still there. That questionable Instagram picture you took with your friends after a night of fun? Yep, there too. Poorly crafted tweets on Twitter? Found that one as well. There is nothing more damaging to your career than a poorly maintained online reputation. You have heard of individuals being let go from their positions because of a Facebook post. People have lost sponsors because of past tweets on Twitter. You do not have to be an influential personality or a CEO of a company to worry about your online reputation. Potential employers are now checking social media accounts before making any hiring decisions. So, if you have a negative online presence, it can affect your employment prospects. Here are four ways to successfully manage your reputation online. If you do not know the problem, you will not be able to fix it. So, start by doing a Google search and reviewing your online presence. Once you have your online history, you can begin to manage it. Do a search using nicknames, usernames that you use on forums and other online platforms, your email addresses and phone numbers. If you are married, do not forget to search using your maiden name. Following the google search, peruse your social media accounts and forums to make sure that you do not have any damaging post or pictures that may still be up. But you are not finished yet. You must also comb through the accounts of your friends and family members to ensure that they do not have any risky posts and images of you on their pages. Your loved ones may mean well, but you both may have different views on how you present yourself online. Are the results positive? Great, keep it up. Not so much? You now know what you need to do to start cleaning up your online presence. You are going to post online. Therefore, the issue is not about you posting but what you are posting. Hold back the urge to post anything that can be damaging to your reputation. You may think that you are operating anonymously online because you are using a username or maybe you are in a group or forum that is private. Not so fast. Adopt the mindset that nothing on the internet is a secret. If someone wants to use it against you, it will come to light. Do not demean others or post inflammatory comments. The saying, “if you have nothing nice to say, don’t say anything at all,” still rings true in the digital world. Alternatively, showcase your talents and achievements. Follow companies on social media that you are interested in working for and engage them in a meaningful way. LinkedIn is an excellent platform for that. Make connections and provide value to those you meet online. You never know, your next job could come from an online connection. As with anything you can use it for good or bad, choose to use the internet for good and share your professional expertise and creativity with people everywhere. Think it is just what you post online that can cause you harm? What your friends and family members post online can also affect you. Change your privacy settings on all mediums to manage who can post on your pages. For example, on Facebook, you can set your parameters to approve every comment before being displayed on your page. If you do not like a tag or post, you can decline to have it posted. Act as a mediator in the comment section of posts that you start. Someone may make a negative comment, and because you did not step in to control it, some may perceive that as support from you. With individuals sharing, retweeting, reposting, and taking screenshots of comments and posts, it does not require much for someone to twist a story and present it in a way that you did not intend. You can also set your profiles to private and review everyone before approving friend requests and follows. Consider your online presence and carefully manage privacy settings on all of your social media accounts. Most importantly, keep in mind that your online image requires constant monitoring. You have done all the work to protect your appearance, do not lose focus now and or let your efforts go to waste. Once you have cleaned up everything, you will still need to periodically review the different social media platforms that you frequent to ensure that you are depicted in a positive light. You can set alerts with Google Alerts to notify you every time your name comes up on the internet. In addition, do not backtrack, from this point on you should always err on the side of caution and pause before you press enter to post anything on the internet. 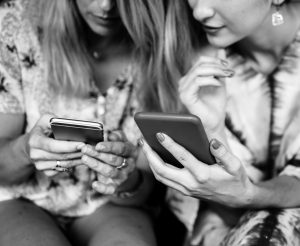 Using online platforms such as LinkedIn, Facebook, Instagram, and Twitter to engage in networking is an effective way to meet potential employers and boost every area of your life. It can even land you a job. For this reason, it is imperative that you assess your online presence and take the necessary steps to ensure that you are putting your best foot forward at all times. Can you think of other ways online behaviors impact your job search? Leave them in the comments below and let’s keep the conversation going. Posted on November 9, 2018 November 9, 2018 Categories advice, job, SearchTags advice, Job Coaching, job search, job seeker, YourCareerDoctorLeave a comment on Is Your Online Reputation Ruining Your Job Search? So you’ve finally landed your dream job interview. You practice interviewing questions, revamp and print multiple copies of your resume, shine your shoes and dry clean your suit. You’re ready and your big, albeit, nerve wrecking day is here. Now you wait to hear back. And just like that, you receive the dreaded news that the employer has decided to go in another direction. Here are three reasons why you failed your job interview and how you can come back from it. You practiced interviewing questions but did you take the time to complete thorough research of the interviewing company? Did you understand their mission and vision and how it aligns with yours? Were you able to speak to their culture and show that you are the right fit? Were you prepared to communicate the company’s goals and how you can help accomplish them? Many candidates make the mistake of focusing on getting the job and the salary that they sometimes overlook the company itself. Before the interview, prepare by visiting the company’s website – you’ll learn about new projects that they are working on, their mission and vision statements, company culture and a plethora of information that you can keep in your arsenal to impress the interviewer. Read the company’s blog, follow their social media feeds, ask your friends or family members who are working for the organization, inquire about the company from recruiters, and read employee reviews on job boards. Preparation is critical because employers browse through hundreds of applications for a single position. Therefore, applicants who display enthusiasm to be part of a company and work as a team will always get picked. The secret weapon? Research. After all, what better way to show this than taking the initiative to learn all there is to know about the company and your prospective employer? Most job seekers tend to be uncomfortable selling their skills, but ultimately, this is a necessary step that you can’t avoid. Job hunting is a competition where only the ones that stand out triumphs. If you don’t sell yourself, how can you convince the employer that you are the right person for the job? From the outset, you should begin to develop a mindset that you are the best candidate for the position, and you have what it takes to be successful. So, tell them about your past successes and accomplishments. Talk about projects that you headed and goals that you exceeded. Tell them about you saving the company money and improving customer service. This what your interviewer(s) want to hear. Be enthusiastic and confident about what you bring to the table, and answer their questions precisely and passionately. Who would have thought that sending a simple letter of gratitude after a job interview could mean the difference between acceptance and failure? Well, it turns out this is an often-overlooked strategy that has helped many job seekers land their dream position. Taking the time and effort to write a thank you letter when other applicants ignore this step completely, leaves a big impression on the interviewer. It shows that you respect him and the time he allotted to consider hiring you. What’s even better is that these letters give you second opportunity to remedy any mistakes you may have made during the interview and reiterate some further points. And as a bonus, you get to showcase your writing skills. Just be sure to start the letter expressing your appreciation before expounding further. These are a few reasons why you may have bombed an interview and failed to land a position. As devastating as this experience can be, don’t dwell. Instead, begin taking the necessary steps to prepare for your future job interviews by employing these tips. You’re halfway closer to getting the job you’ve always wanted. Can you think of other reasons why someone failed a job interview? Leave them in the comments below and let’s keep the conversation going. Looking for a new job? Visit http://jobs.yourcareerdoctor.com to find your dream job! #jobseeker #iownmycareer #jobsearchengine. Do you need career coaching? Visit us at http://yourcareerdoctor.com for more information. 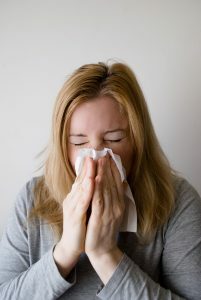 YourCareerDoctor has a few thoughts about calling in sick. When it comes to calling in sick, there are two types of people. The first type is someone who is genuinely sick and or needs a mental health day. People in this category use sick days to rest and recover. On occasion, it is a good idea to use a sick day to maintain your mental health (deal with stress, relax or refresh). The other type of person is someone who is disengaged. According to a 2017 Gallop poll, disengaged workers represent between 33% and 49% of the workforce. More commonly, disengaged workers feel undervalued, not respected, and unchallenged. These feelings lead to the desire to call in sick more often. Calling in sick represents an avenue to escape dissatisfaction at work. As a career coach, I’ve had many conversations with workers who are disengaged and dissatisfied with their job. I always encourage them to find a resolution to stay in their position or find a new job. If you find yourself in a situation where you are not happy at work and have tried everything else to resolve your problems, you may want to consider getting another job. At YourCareerDoctor, we firmly believe you have the power to own your career (#ownmycareer). With that in mind, we encourage you to visit our job board to view open positions. Our job board has 1000’s of open positions in multiple cities in the United States. Here are a few links to some of the hottest markets and job categories on our job board. We are the best place to find your next job! If you need help with writing your resume, interview preparation, or career coaching, feel free to visit our coaching page. Good luck with your situation. Don’t settle for being dissatisfied when you can #ownyourcareer and find a new job. Looking for a new job? Visit http://jobs.yourcareerdoctor.com to find your dream job. We are the best job search engine around. #jobseeker #iownmycareer #jobsearchengine #findjobsnearme. Do you need career coaching? Visit us at http://yourcareerdoctor.comfor more information. Posted on August 27, 2018 November 9, 2018 Categories advice, disengaged at work, time to move on, Uncategorized, unhappyTags advice, disengaged at work, Job Board, Job Coaching, job search, job seeker, leave your job, YourCareerDoctor5 Comments on Calling In Sick To Work – Did you Call In Sick Today? Hopefully, this post finds you well. YourCareerDoctor wanted to share three tips that will speed up the time it takes to find your next job. One of the most challenging things is to figure out when to search for jobs. A recent survey found that most job seekers check their mobile device at least twice a day to search for jobs. Does this sound like you? The overall goal is to have a successful search. Here are a few tips to speed up your job search. Tip 1 – Look for a job over the weekend – At least 50% of people find their jobs over the weekend. This means that Friday through late Sunday night is one of the best times to search for jobs. Most employers post on our job board during the week to ensure jobs are posted by the weekend. Focusing your search during this time can yield greater results. 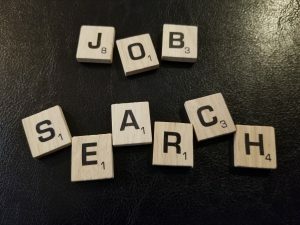 Tip 2 – Best time to search for jobs – Data from our job board shows most visitors tend to search for jobs between 7-9am and 9-11pm, Monday through Friday. These job seekers start and end their day looking for jobs. We recommend searching during these times or when you get a chance. Often, the competition for jobs can be intense. So, stay on top of things and search often. Tip 3 – Be proactive – Many job seekers report waiting between three to seven days to submit an application after finding a job of interest. 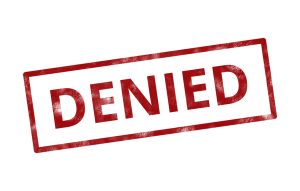 Due to the long wait, many miss the opportunity to apply, as the job may close or the screening process begins. YourCareerDoctor recommends applying for the job soon after it is found. This advice assumes that you have taken time to tailor your resume and cover letter to fit the position. As always, these tips are presented to help you have the best opportunity to achieve your job search goals. Hopefully, this post gives you some things to think about before you apply for your next job. At YourCareerDoctor, we want to help you have a healthy career. Feel free to visit our job board to find a job, or visit our coaching site to learn about our services. We hope you have a great week! Looking for a new job? Visit http://jobs.yourcareerdoctor.com to find your dream job! #jobseeker #iownmycareer. Do you need career coaching? Visit us at http://yourcareerdoctor.com for more information. As technology advances and the world change; one thing that won’t is the fact that you will always have a boss. We spend more time at work than we do with the ones we love. With that in mind, we will always have some level of interactions with a boss. This post will help you identify ways to deal with a bad boss. There are two types of bosses; good and bad. Good bosses empower you to succeed and help you thrive in the work environment. Good bosses are able to acknowledge and appreciate you for your hard work and dedication. On the other hand, bad bosses often have a negative impact on your attitude and how you view your job. Bad bosses have many characteristics, but they all revolve around how they behave. Here are six types of bad bosses that you may encounter. It is important to identify the type of boss you work with. The Absent Boss – Good supervision involves adequate interactions or meetings with your boss. Although meetings may not occur regularly, it is important to have some type of formal meetings or communications with your boss. Good bosses make it a practice to pay attention to and know their employees. However, bad bosses do the opposite and fail to pay any attention to their employees. Employees who work for this type of boss report that they are ignored or not valued. The role of the boss is to be informed and help guide the work performed by their employees. 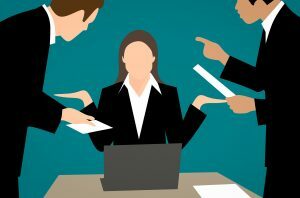 The only exception to having little contact with your boss is if you are told that your performance warrants little supervision or the ability to work autonomously. The Power Struggle Boss – Each boss has some form of responsibility and delegated (due to position) authority. However, some bosses let this power and authority get the best of them. This looks like the boss who orders everyone around while reminding you that they are in charge. This type of boss is often not willing to listen or value your input. This type of boss may also resort to belittling you in public or private. An easy way to measure the impact of a power struggle is to identify how you feel after communicating with your boss. If you feel bad, there is most likely a problem. The No-Trust Boss – Healthy relationships between a boss and employee usually includes trust. Naturally, it takes time to build trust between you and your boss. However, it can be a problem if his/her actions cause you to not trust them. It is hard to earn trust but easy to lose it with others. A good measure to evaluate trust is to assess the situation to understand if your boss is mistake prone (weakness of the boss), or has habitual (multiple broken promises, lies, or intentional hurt/harm) behaviors that cause a lack of trust. Bear in mind that not everyone is perfect and can make mistakes. However, it is important to consider your bosses intent when assessing their behaviors. The Micromanager – Some bosses have problems allowing employees to perform their jobs. Usually, due to an inability to trust and truly delegate; they default to micromanaging most everything you do. It is important to note; your boss may be under specific direction from his/her supervisor and is forced to micromanage certain projects. This may be the cause of occasional or project specific micromanagement. However, if everything you do is micromanaged, this is a sign of a problem. Sometimes bosses use micromanagement as a passive way of making you uncomfortable enough to move on to a new position. It is important to take an honest self-assessment to see if the micromanagement is due to his/her stresses or a problem with your performance. Sometimes a problem with your performance can cause your boss to micromanage you. The Passive Boss – Some bosses are not good at dealing with conflict or addressing problems. This inability leads to them being perceived as passive. Passive bosses take too much time to make decisions. They also choose to empower you to deal with problems vs. taking them on themselves. Working for this type of boss can be extremely exhausting, as you’re waiting for support that may never come from them. Their inability to help often causes employees to reach burnout quicker than usual. The Perfectionist – Some bosses expect for every job output to be perfect. It becomes a big problem if you make a mistake because they feel this is a negative reflection on them. The perfectionist creates a culture where people are afraid to make mistakes. Employees in this situation often begin to overthink and doubt their abilities. The reality is that no one can be perfect. However, the perfectionist has not come to this revelation. Although the list above is not all-inclusive, it is an indicator of having a bad boss. Being able to identify a bad boss is half of the issue. If you are dealing with a bad boss, remember that you can take control of the situation. In the near future, we will write an article to provide some strategies on how to deal with bad bosses. To keep this topic going, feel free to send us an email at admin@yourcareerdoctor.com to provide us with questions and examples of bad bosses. We may feature a few short stories in an upcoming blog post. Good luck if you are dealing with a bad boss! The job search is one of the most important processes you will partake in throughout your career. Finding ways to perfect this process will be critical to your success. This post will address the benefits and disadvantages of using resume templates. A good resume allows job seekers to market their skills, abilities, and experiences. 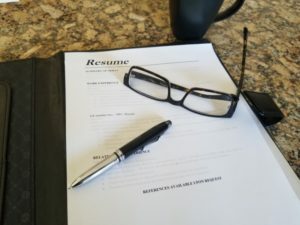 Potential employers scrutinize the resume and use it to gauge the connection between what you bring to the table and job requirements. To be successful and land a job, you will need to have a professional resume that will increase your chances of being hired. It can be tedious and time consuming for you to come up with a resume from scratch. However, chances are that you might end up including unnecessary details or excluding important information. This process can sometimes be daunting. One option is to use an electronic template (included on installed computer software or acquired online) for a resume. Templates can be handy because they provide an outline for creating a resume. We advise some clients to be thoughtful before using a template. It is important to be aware of the advantages and disadvantages before moving forward. Resume templates provide a professional look – Job search competition is usually intense and competitive. Therefore, your resume needs to have a professional look, so that it can stand out from other candidates. Templates become essential because they can increase your chances of landing a job. You get a variety of formatting features and styles that can be customized. These styles and features are included to make your job applications elegant and stylish. Saves time – Resume templates save time that could be used in other ways vs. the additional time needed to make a resume from scratch. With templates, you download the most suitable template for the job for which you are applying. Some resume templates are specific to particular industries – A big percentage of resumes are customized and tailored according to specific industries. Subsequently, this gives you the option of downloading templates that best suit your job application needs. With templates, you don’t need to start over again from scratch when applying for a different job in a different sector. It is a big advantage especially for recent graduates who are applying to different fields. Resume templates are designed to match your career stage – There are resumes available for everyone at any level of their career. For example, you will find templates for recent graduates that do not focus on the length of work experience, rather they concentrate on qualifications and skills. However, if you are more experienced you will find templates that focus on your skills and length of employment. This helps to make a good first impression with potential employers. Essentially, there is almost every type of style and format when it comes to resume templates. Resume templates can be too generic in appearance: One of the problems with resume templates is that their styles and formatting are immediately recognizable. It takes just a glance from the potential employer (who view 100’s of applications on a daily basis) to know that you have used a standard resume template. Some employers feel candidates that use templates don’t take the time necessary to adequately prepare a resume. As such, your resume might end up in the shredder even without the employer reading it. They lack personal touch – When you use templates, you are unable to add a personal touch according to your skills, abilities, and specializations. Some templates, do not allow you to accurately showcase your prior accomplishments and positions. In addition, some templates have weird formatting that cannot be fixed. You should be able to customize your resume to ensure you are not playing hide and seek (making the employer work hard to match your skills to the job) with your skills. These types of problems do not help you land the job. Communicating your work history – Due to inflexible formatting, some templates may highlight negative aspects about your background. For example, formatting problems can show that you have not had a stable and steady previous work history. Due to this, potential employers might consider you a job hopper who does not have commitment and discipline to stick to a job position for a long duration of time. You want your resume to be flexible enough to show all of your best attributes. Taking the time to make a good decision to use templates. This is imperative because it may mean the difference between having a stylish resume and no job or having a custom resume and getting the job. Most of us prefer to be employed vs. having a good-looking resume. Do some research on the field, then decide if it is a good idea to use a template. Twenty minutes of research could net a job with a nice yearly salary. Divide the time spent on the resume by the salary and you will see the worth of your time. Resumes should always be customized to show how your skills and abilities match the position. We also suggest looking at template formats then creating a custom resume from scratch. Again, the goal is to get hired. Hopefully, this post will help your decision in creating a resume. Feel free to post your resume for free on our job board. Feel free to reach out to us if you have questions. Until next time, good luck with your job search. And remember to #ownyourcareer! Posted on June 20, 2018 November 9, 2018 Categories advice, Resume, Search, UncategorizedTags advice, job seeker, resume template2 Comments on Should I Use A Resume Template? 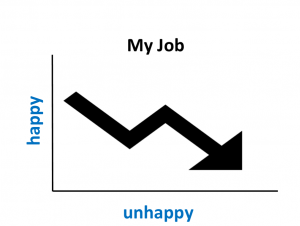 Unhappy At work – Are you Unhappy with Your Current Job? ne who desires to see employees have healthy careers; it has always been my hope that they enjoy the work they do. This is important, as most of us spend more time at work than we do with those we love. On a daily basis, we trade our time at work for a paycheck. As the process goes on day after day; you have to ask if you are truly happy with what you do? In some cases, it is hard to stay engaged while at work. During the workday, there are many things that impact our level of engagement. A recent study by The Conference Board found that a little over 50% of employees are dissatisfied with their jobs. Bad Bosses – Employees often state that they have left positions because of their bosses vs. their job. A bad boss can be a micromanager, bully, bad communicator, unfair, or an overall jerk. Regardless of the reason, bad bosses are often good at chasing away good employees. Lack of challenge – Sometimes, employees find themselves in a position where they are able to do their job in their sleep, or without much effort. This is okay for some but it becomes a huge psychological drain for others while making for a boring work day. Lack of opportunities for advancement – The nature of some jobs along with organizational structure, does not allow individuals to advance or gain new skills or experiences. Most employees’ welcome opportunities to grow and make their job experience fulfilling. The lack of opportunities often leads to disengagement and dissatisfaction. Hard work with no recognition — One of the great failures of leaders and organizations, is their inability to recognize the hard work and accomplishments of their employees. Many employees want to have some sort of recognition for the work they perform. Not acknowledging performance leads to dissatisfaction and disengagement. It is time to move on – Some positions are only intended for the employee to stay for a few years. The market may dictate that job outputs stay fresh and relevant in order to have the best business-related impact. In some cases, employees simply have grown to the point where they are no longer a good fit for the position. This is not a bad thing. It just means that it is time to move on to a new job. This requires the employee to be truthful with themselves in order to avoid getting into a rut and becoming dissatisfied. I am sure you can easily add many more categories to the list above, based on your experiences. So, the question now becomes what should I do, if I am disengaged? YourCareerDoctor recommends that you take time to make an honest assessment of your situation. A common mistake that many employees make is thinking that their identity is wrapped up in just one business or job. They cannot see themselves working at another job, or for another business. I always argue that regardless of the circumstance, their education, skills, and experiences are worth something to another employer. So instead of staying disengaged and unhappy, go find another job. Why stay at a job if you are not happy? Just a few things to ponder as you think about going to work tomorrow! 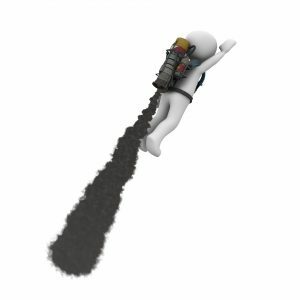 If you are looking for a job, feel free to visit our job board at https://jobs.yourcareerdoctor.com. We have thousands of jobs all over the United States with a focus on #atlantajobs #bostonjobs #denverjobs #dallasjobs #orlandojobs #phoenixjobs #sanfranciscojobs. Now is a good time to own your career. Good luck with your search! Posted on June 11, 2018 November 9, 2018 Categories advice, lack of respect, time to move on, UncategorizedTags bad boss, disengaged at work, lack of challenge, leave your job, low performance, unhappy2 Comments on Unhappy At work – Are you Unhappy with Your Current Job? Targeted Job Search – Why Is My Job Search Taking So Long? One of the many important things in life is employment. Although there are many jobs, not all of them fit into a truly satisfying career. It is important to be focused on your job search and not give up. For more than 20 years, I have worked with clients helping them to secure their dream jobs. Since then, I have noticed a trend. Most job seekers expect the process to move quickly. This is an unrealistic expectation and often not the case. For example, if you are seeking a job that pays $70K, it takes approximately one month for every $10K in yearly salary you desire to be paid. So, it may take a long time if you are expecting a big yearly salary. It takes a long time for an employer to fill a position: Employers have to go through multiple steps to hire a position. It takes time for the employer to create, advertise, search, and hire for a position. As a former executive, I would be leery of any employer who did not take sufficient time and due diligence to conduct a quality hiring process. So, job seekers will have to be patient during the search process. Many people are competing for the same position: The needs of the market, candidate availability, and position expectations, often dictate how many candidates apply for a position. I have seen hiring processes with a few applicants and others with 100+. Either way, it takes time for the employer to identify an adequate group of candidates to interview. Patience is the key! Job seekers have unrealistic expectations: On a number of occasions, I have come across job seekers who have unrealistic expectations of the connection between their skills/background and the position requirements. It is not wise to expect an interview based on a self-assessment of meeting the minimum or preferred qualifications. From an employers perspective, it is a “task” to identify the best candidates out of a pool of highly similarly qualified candidates. This is why I encourage job seekers to do things to set themselves apart. Overall, these factors contribute to longer wait times from application submission, interview, and hire. Take time to tailor your resume and cover letter to fit the job announcement. Don’t get upset if your dream job falls through. There are many more out there. Hopefully, this post will help you in your job search. Don’t give up and keep searching. Until next time, have a healthy career! Posted on April 12, 2018 November 9, 2018 Categories Resume, Search, UncategorizedTags employment, job search, job seeker, salary, unrealistic expectations1 Comment on Targeted Job Search – Why Is My Job Search Taking So Long? Greetings and welcome to YourCareerDoctor’s blog! This first post is here to share information about what you will experience through this site. The goal of this blog is simple – to help you have a healthy career. Throughout my two decades of work, I have used multiple career doctors to help me achieve personal and professional success. Their help and guidance allowed me to, achieved a doctorate, served as an executive level leader, and developed systems that helped clients, and organizations, and live a life of purpose. All of this occurred over the span of 20+ years. My experiences will inform the posts and services provided through YourCareerDoctor. I desire for this blog to become the place where you come when things are not right with your career. Blog – YourCareerDoctor will host an informative blog that explores topics around conducting job searches; selecting the right job; identifying the right job fit for you; how do decide when it is time to leave your job; strategies to deal with office politics; dealing with good/bad bosses; and any other career-related topics. Our blog will also offer posts from guest bloggers who also share a passion for career health. Job Board – Our job board – http://jobs.yourcareerdoctor.com, is a place where you can find 1000’s of jobs in our searchable database. Click on the link to find your dream job. Job Coaching – You can reach out and receive support for career success. We offer coaching, resume/cover letter review, and advice on attending a trade school, college, and graduate school. Overall, YourCareerDoctor is concerned about helping you to be the best we can be! Dr. Derrick E. Haynes — YourCareerDoctor! Posted on March 9, 2018 November 9, 2018 Categories advice, Resume, Search, UncategorizedTags blog, Job Board, Job Coaching, welcome, YourCareerDoctor1 Comment on Welcome to YourCareerDoctor!